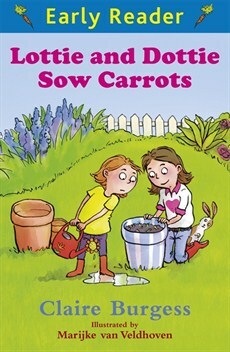 Lottie And Dottie Sow Carrots is a fun story by Claire Burgess in the Orion Early Reader blue series. It’s perfect for this time of year, just as you head out to your own gardens to start sowing seeds and plant things for the season ahead. Lottie and her little sister Dottie love growing things and head off to the local garden centre to choose some seeds. They decide on something orange so look at the array of carrots on offer and buy some seeds. With some helpful advice from a neighbour they set to work planting them and and the end of the summer they are able to pick them and eat them. 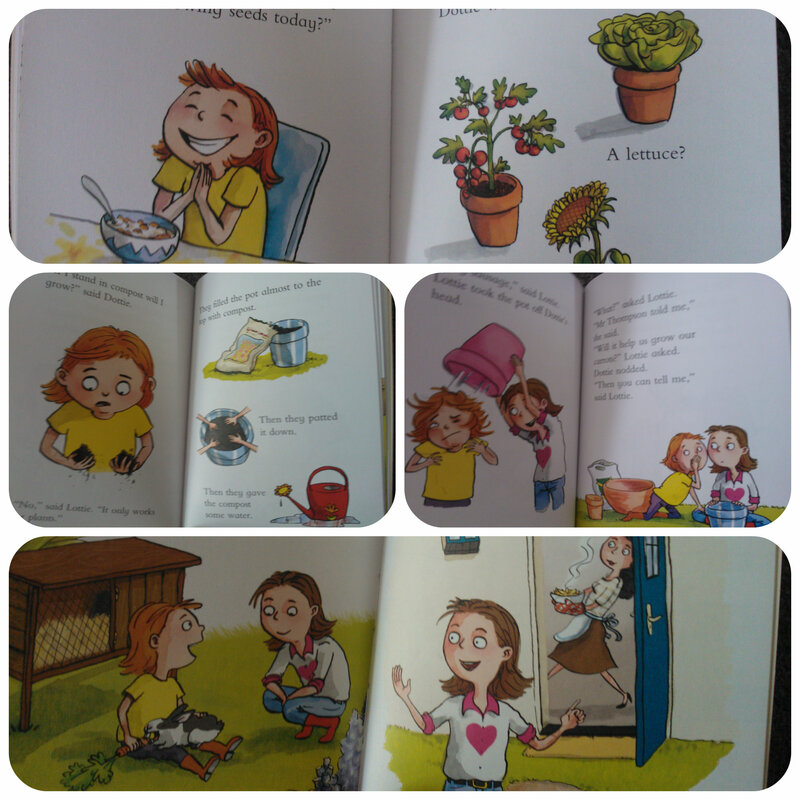 This is a lovely book that 6yr old Miss M found simple to read, the colour illustrations on each page really engaged her and helped bring the story to life. She paused after each page to view the pictures and reinforce her understanding of what she has just read. I like these books because they are great to read together but she can also sit and read them alone and I know she is of the level where she is understanding and reading the majority of the book correctly. Lottie and Dottie discover that growing your own carrots tastes so much better and is fun to do, something I think most children would enjoy. After all, there’s nothing better than growing your own food then getting to eat it! All reviews are my own and my family’s opinions and we received the book in order to write the review. This entry was posted in Reviews and tagged books, early reader, lottie and dottie, orion by Fiona Martin. Bookmark the permalink. Love this book. It encourage kids to grow their own fruits/food. This really is a lovely book isn’t it. Monkey has been sowing his carrots so he’s really enjoyed this aspect of reading a story about something he has done himself.